2.31 p.m. R5 1 Avec Moi (4 m Pour Moi – Fuji Belle, by Fuji Kiseki) – Cameron Lammas; was meritorious when seventh after working near the pace on 19 May in the Rating 65 1600 metres at Te Rapa, and has blinkers on for the $12,000 NZB Insurance Pearl Series Rating 65 1600 metres. 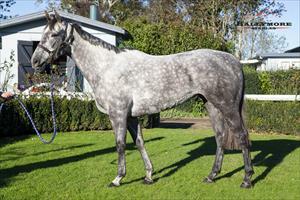 A winner on Dead4 over 1600 metres in March at Avondale, handling conditions will be paramount. Fixed odds: $11.50 & $3.60. 4.16 p.m. R8 2 Captain Risky (3 g Rip Van Winkle – Dreamworks, by Maroof) – Cameron Lammas; handled Heavy11 when finishing third in the Maiden 3YO 1600 metres on 23 May at Avondale, like her dam that won on heavy ground. He should go well again in the $10,000 Maiden 1600 metres, while race rival General Sherman (Redwood), who finished one spot ahead last time, also looks a threat. Fixed odds: $4.50 & $1.50.